Father's day is just a few days away. Do you have a gift for your dad? If you haven't thought of one yet because you like to always do things in the last minute (I may or may have not just described myself there), then this article might help you. My dad is one of those whom I just have difficulty in thinking of what to give him when it comes to gift giving, not because he's a difficult one to please (I'm sure he appreciates everything) but because he's not materialistic. Come to think of it, I think he appreciates the actions and thoughts I show more than the material gifts. Anyhow, since I'm an adult now (and accepting the fact that I really am an adult), I have acquired an analysis of what would be the best gift for <my> dad. One of the safest gifts for dads, of which I'm sure they'll certainly like, are watches. This personalized Men's Watch from Gifts Less Ordinary is a contemporary twist on a classic design. 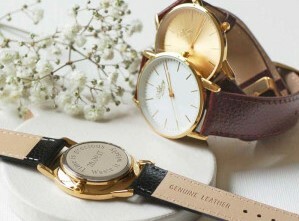 It tells the time in style with your own personalized leather strap watch. Ladies are to bags as to Men are to wallets. Every time we go out, me and my mom always carry a bag. Even to urgent errands or even when just going out to buy a toothpaste at the nearest convenience store, a bag or a tiny pouch is a must. My dad however, rarely carries a bag. But his wallet is always filled with stuff aside from money. 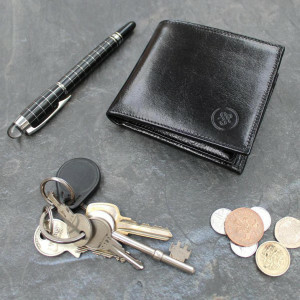 He actually puts his comb inside his wallet. That said, do consider giving your dad a wallet. Make it more unique by considering a personalized wallet. 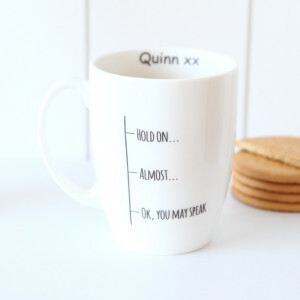 My dad loves drinking coffee so if your dad is too, why not consider giving him a personalized coffee mug? You can ask Gifts Less Ordinary to enhance the inner surface of the mug with the recipient's name for a lovely finishing touch! They'll personalize your gift for free! This unique wooden organizer will help your dad not loose his phone, keys, coins, and other tiny bits and bobs. And I love that "Dad's Stuff" engraving. Definitely makes this gift very personal! 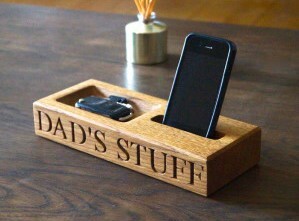 This one is perfect for helping your dad get organized. My dad has an organizer / planner which he always carry around but I think a personalized one like this, which has a zipper, is beautifully handcrafted from the shop's signature Italian leather. 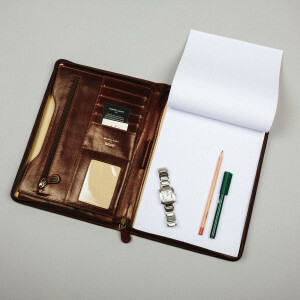 It has plenty of internal slots for keeping cards and/or calculator, and pen, and it also has an A4 writing pad! 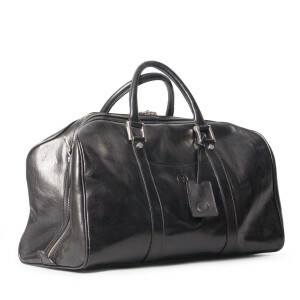 My dad isn't a traveler but this travel bag would be perfect for dads who love to travel and also, for dads who loves to play sports or something similar! The bag is spacious and very stylish. Even though my father isn't a traveler, this bag is perfect for when we have family overnight trips. 7. 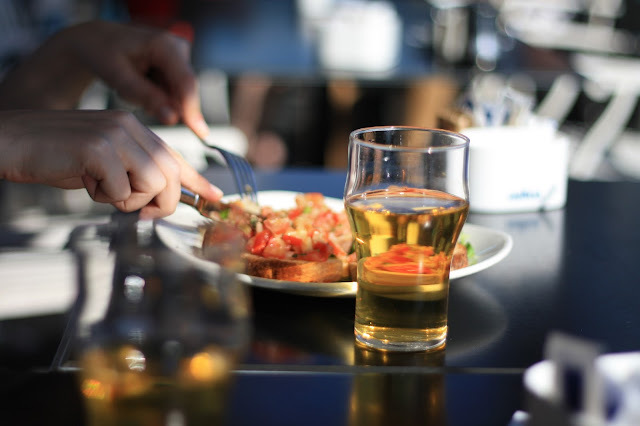 Take him out for dinner! Have a 'daddy-daughter/son' bonding. This is what I'll personally do this year. Since I'm a working adult now, I now have the budget to treat him out for dinner! I'll date my daddy and we'll bond and spend time together, even if we always do at home! If you don't always bond with your dad, this father's day would be a perfect time to catch up with each other's lives and bond and spend time together. 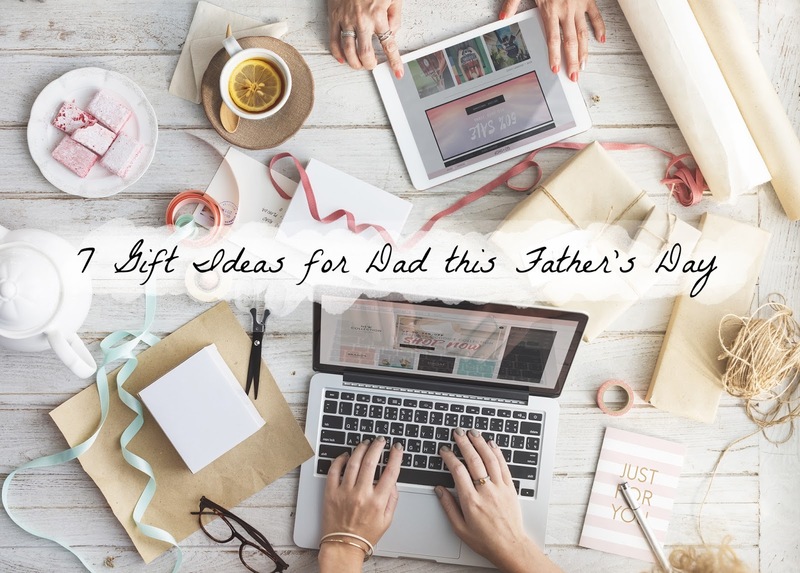 I know that gift giving can sometimes be difficult, but if you put extra effort in your gifts or you make your gifts more personal and unique, I'm sure your dad or any receiver will appreciate all your efforts! If you want to personalize your gifts, you can get your creative juices flowing and DIY them, or you can ask Gifts Less Ordinary to help you out! They are a one-stop marketplace displaying beautiful and memorable gifts to treasure. 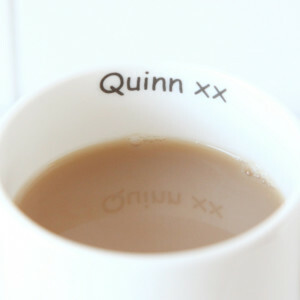 Many gifts can be personalised and come gift wrapped to add that extra special touch. Enjoy spending time with your dad this father's day! Disclosure: This post is sponsored by Gifts Less Ordinary but all thoughts and opinions are mine. I was compensated to publish but this intends to share gift ideas for dads this father's day.